The opposition UPND says its time for President Lungu to realise that it is game over for him. In a press statement, the UPND Information and Publicity Secretary for Copperbelt province said President Lungu is now panicking. As UPND on the copperbelt, we are very disappointed and unsettled by the mediocre Leadership being provided by President Edgar Lungu and his Patriotic Front government. The disclosure by the UPND COUNCILLOR FOR CHILONGOZI WARD IN SINDA CONSTITUENCY of Eastern Province Cllr. Newstead Phiri, that he was Corruptly given K20,000 on top of a promise for a job by President Edgar Chagwa Lungu as an inducement for him to resign his position as councillor and member of UPND, makes very sad and deamineang readings. It is sad, especially that the entire President has allowed himself to sink this low, to an extent of personally promoting corruption, when he should be the one leading the fight against it. Zambia under President Lungu is witnessing the worst leadership a country can ever be subjected to and gives no hope for any turn around soon. Corruption is now without doubt being spearheaded from State house and it being a cancer the country is as good as dead. 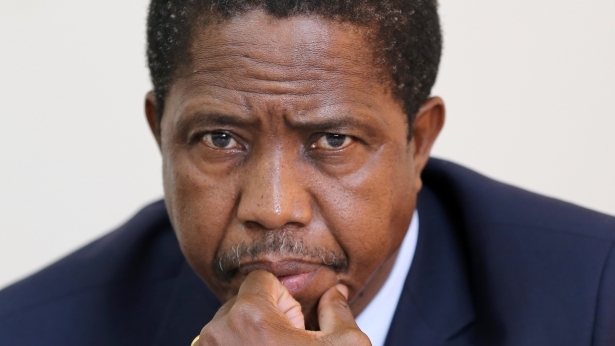 President Lungu and the Patriotic Front must understand that their time in government run-out in 2016, and the people are now more resolved than ever before to see them out of power. There is nothing at this stage that they can do to turn the tables around, it is simply a game over. It doesn’t matter, how many brown envelopes, bicycles, branded books and branded tissues they distribute, they can never be trusted by the voters again. Any election held between now and 2021 will see them out of power, and they have no choice but to take this as a painful fact. Zambians will happily take whatever Edgar Lungu and the PF will make available to them whether Corruptly or not, but that can never guarantee them their support, especially that it is not coming from their individal pockets, but from the government coffers. The money belongs to the people and are therefore not doing them any favour by giving them what rightfully belongs to them. President Lungus’ resolve and appetite to poach the unsuspecting Councillors and MPs from the UPND can never help him and his Patriotic Front to grow the numbers to win him any election, not in this life. His main advisor President Rupiah Bwezani Banda a.k.a “nindalama zanyoko!” tried this route but it never saved him. President Edgar Lungu and the PF are targeting and temporarily winning individuals while President Hakainde Hichilema and the UPND are permanently and continously attracting masses of well meaning Zambians, hence making UPND well positioned for any election and without doubt the favourite to form the next government. The opposition Councillors and MPs especially from the UPND must be weary of these unholy maneuvers by President Edgar Chagwa Lungu to poison their minds against the electorates and the party, and in the long run destroy their political carriers. Once a Councillor or MP resigns his or her position, they can never recontest for the same seat in that term of office. They should therefore not be cheated that Edgar Lungu will re-adopt them. Once one resigns, that’s it, the constitution does not allow such a one to re-contest. As a party on the Copperbelt, we urge president Lungu not to waste our time as Zambians anymore by embarcking on a fruitless expedition of chasing and corrupting Councillors and MPs around the country to join the dying Patriotic Front. Let him concentrate on fighting corruption, unemployment, disease, poverty, high medical fees and the high cost of education for the benefit of the majority Zambians whom he claims to have put him in State House.